So what would you say if I told you I have the most flavor filled, melt in your mouth, put a smile on your face chicken recipe around? Sounds like a bit of an exaggeration, right? Well let me tell you, my Cuban Marinated Chicken Bowl will not let you down. It was hard not to pluck a piece off the grill while it was cooking. 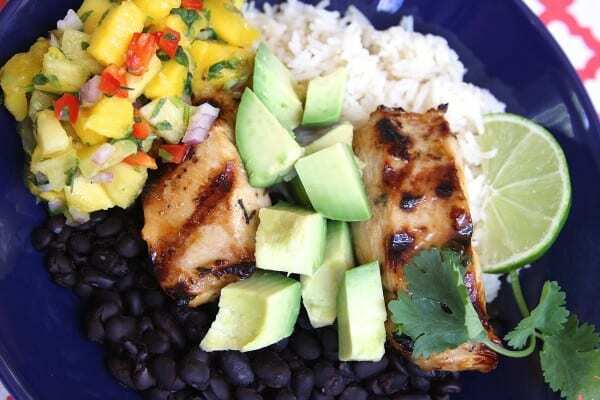 Seriously though, the grilled chicken meat makes this Cuban Marinated Chicken Bowl with Fresh Mango Pineapple Salsa an all time favorite. Don’t be surprised if your family asks for this meal again and again, especially if they like beans. The beautiful part of this recipe is that you can use the marinated chicken for so many other types of dishes likes salads, tacos, burritos and simply with a plate of veggies. The secret of the chicken is to let it marinate anywhere from 18 to 24 hours. I also made the Fresh Mango Pineapple Salsa the day before, which made the day of very simple. Cooking the beans and rice is very low maintenance, and that means you will have more time to enjoy family and friends. To make this meal even more nutritionally dense, use quinoa instead of rice. I chose rice this time because the contrast looks so beautiful next to the black beans. A few years back, one of my best buds, Cynthia, taught me how to make Latin fried rice. Once I learned, this has been my go to rice time and time again. Cynthia prefers to use Jasmine rice. 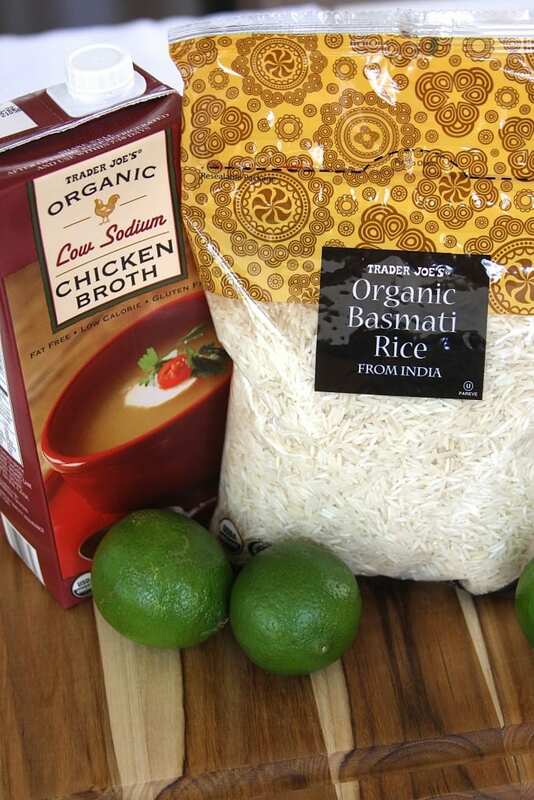 For this dish, I chose Trader Joes’ Organic Basmati rice. It is very important to always thoroughly rinse the rice in a fine mesh colander before cooking. 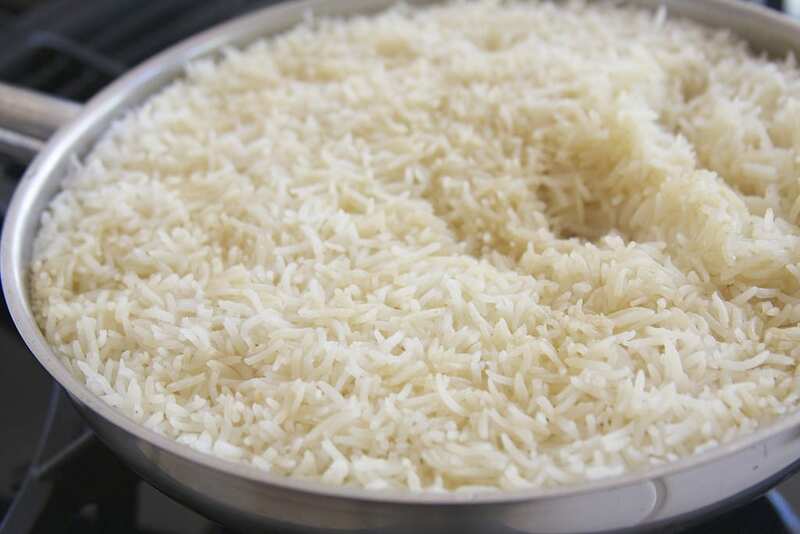 In all of the many hours of research I have done, I have uncovered that our rice supply is heavily tainted with arsenic and that rinsing and soaking can help in the removal. 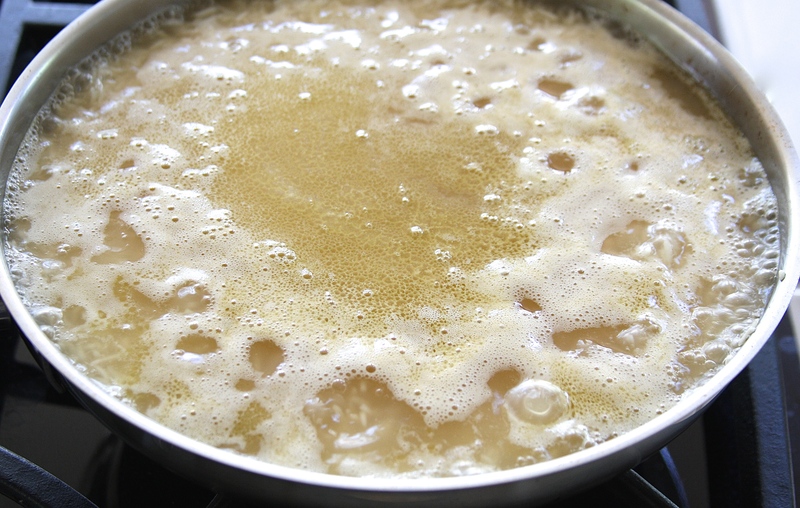 Once your rice is drained of any excess water, fry over medium high heat until some of the rice kernels start to brown. Add the broth and bring to a boil. Once boiling, turn the flame down to the lowest setting, cover and walk away. Don’t stir. Just let the rice and the broth do their thing. 17-20 mins later (depending on the personality of your pan) come back and check, AND…. you will have beautifully, fluffy Latin Fried Rice. Once the beans, rice, chicken, avocado and salsa are assembled you won’t know whether to take a picture or just simply sit back and enjoy. And by the way, don’t forget the Fresh Mango Pineapple Salsa . 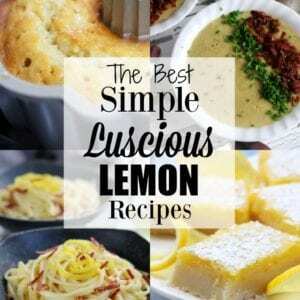 A perfect zesty marinade bursting with citrus flavors. Measure olive oil and pour into a large stainless steel or crockery bowl. Zest limes and orange and add to oil. Juice limes and orange. Whisk rapidly into oil as if making a vinaigrette. Peel and crush garlic cloves and add to oil and juice mixture. Whisk in sherry and soy sauce. Measure coriander, cumin, thyme, red chili pepper flakes, sea salt, sriracha and honey and add to mixture. Roughly chop onion and add. Stir thoroughly. Cut chicken breasts into thirds making about 2- 2 1/2 inches strips. Add chicken pieces into marinade and ensure they are fully submerged. Marinate for 18-24 hours. Low maintenance fresh cooked black beans for Cuban Marinated Chicken Bowls. Rinse beans thoroughly in a colander. Place beans and water in an approximately 6-8 qt sauce pan. Bring to a boil over high flame. Once boiling stir and lower to lowest setting. Stir every so often and add additional water as needed depending on evaporation. Cook for approximately 2 hours or until beans are tender when eaten. 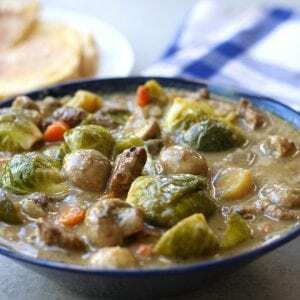 *To have enough to share with guests and have left overs, double the recipe. Enjoy! A low maintenance perfectly fluffy rice. Measure rice and rinse thoroughly in a fine mesh colander. Drain well. Heat olive oil in a medium size frying pan over medium high heat. Add rice and fry stirring frequently. Fry for about 4-5 minutes or until some of the rice grains start to become lightly golden brown. Add broth and lime juice. Bring to a boil on high heat. Once boiling lower the flame to lowest setting. Cover and DO NOT stir. Cook until all broth is absorbed. Cooks for about 17-20 minutes depending on cookware. A festive, flavorful and nutritionally dense meal perfect for guests or summer evenings. For Chicken Meat. 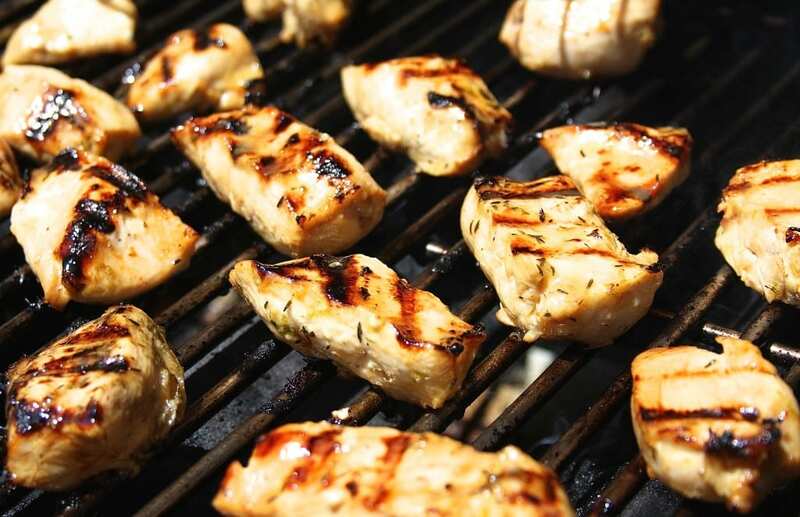 Preheat BBQ with a high flame for about 10 mins (preheating allows grills to become hot enough to leave beautiful grill marks on chicken). Lower flame to medium high and place chicken strips on grill. Grill for about 10 mins basting with marinade at about 5 minute marker and just before turning. Flip chicken and baste one additional time. Cover with BBQ lid and let cook for another 10 minutes or until internal temperature of chicken reaches 165 degrees. Discard marinade. For Bowl Assembly. Place ½ cup cooked rice on one side of shallow bowl. Place ½ cup cooked black beans next to rice. 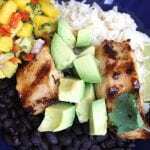 Lay 2 strips (4 oz..) of grilled chicken meat over top of rice and beans. Dice ½ of avocado and place in chicken rice bean bowl. Add ½ cup of Fresh Mango Pineapple Salsa to bowl. Squeeze 1 lime wedge over meat and garnish with cilantro.